Birth Place Odessa, Texas, U.S.
Place of Death Erath County, Texas, U.S.
Death Cause Murder; Shot by fellow Navy SEAL Eddie Ray Routh, who was Schizophrenic. School A High School in Midlothian, Texas, U.S.
College/University Tarleton State University Stephenville, Texas, U.S. Since childhood, he was interested in joining the Military. When he was 8 years old, his father bought him a first rifle. To join Military, Kyle went to a military recruiting office, as he wanted to join the U.S. Marine Corps special operations. Initially, he was rejected because of the pins in his arm, but eventually, he received an invitation for a 24-week Basic Underwater Demolition/ Sea, Air, Land (SEAL) training at Coronado. During the Iraq war, he served four tours on duty. He encountered his first long-range kill when a woman who was having a hand grenade was moving towards a group of Marines. Kyle retired from Military in 2009. On January 2, 2012, Kyle published his autobiography, “American Sniper” which became one of the best selling books in the U.S. in 2015. In 2014, a movie ‘American Sniper’ was also filmed on Kyle’s biography. American actor, Bradley Cooper, portrayed the role of Chris Kyle in that movie. Before Kyle’s death, Bradley Cooper had only one conversation with him. Kyle’s greatest successful shot came when he spotted an insurgent with a rocket launcher near a U.S. Army convoy at a range of 2,100 yards. He along with Chad Littlefield, a 32-year-old Navy SEAL was killed by a fellow Navy SEAL, Eddie Ray Routh, who was suffering from Schizophrenia. Routh’s mother, who was a teacher at the same school that Kyle’s children attended, had asked Kyle to help her son. Kyle agreed to take Routh to a shooting range. After Eddie Ray Routh killed Kyle, he went to his sister’s home in Midlothian, Texas and told her the whole story. His sister, Laura Blevins, called up 9-1-1. The local police captured Routh and he was sentenced to life imprisonment in 2015. 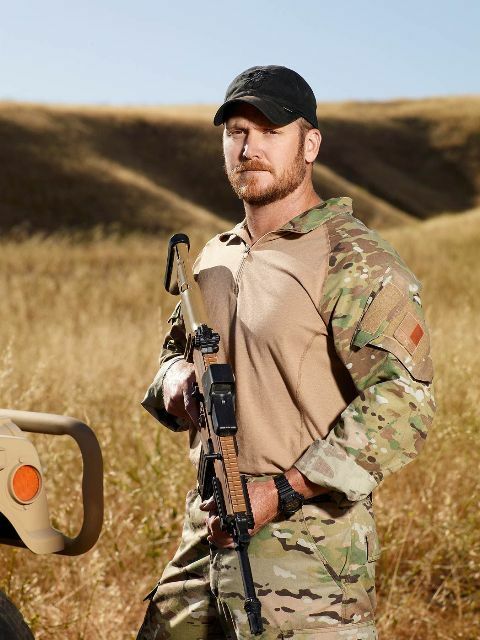 Chris Kyle Frog Foundation was founded by his wife, Taya Kyle, in 2014 to enrich the relationships among families.